The large exit pupil created by the 8x power and 42mm lenses generally makes this combination a good choice in low light situations. However when you combine this potential with the extremely high-grade optics and the resulting superior light transmission, then you have an 8x42 binocular that is a seriously great low light performer. 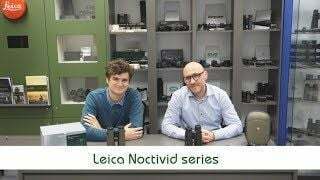 This makes the Leica Noctivid 8x42 a great choice for users like birders, wildlife observers or hunters who are out before dawn, after sunset or who operate in thick forests where light is far from ideal. The extremely wide viewing angle and you are sure to be able to quickly locate and then follow fast moving wildlife and birds even from really close range. At less than 2 meters, the close focus distance is also excellent for this class of instrument making them even more versatile and a good option for those who like to observe birds, flowers, butterflies or other insects from close range. 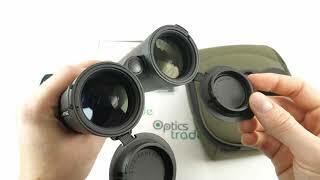 At 19mm, the eye-relief on this binocular should be more than enough for most users, with or without glasses on. Noctivid binoculars are not only suitable for most outdoor activities, adventures, and sporting events, but will deliver a performance to match or beat just about any other binocular currently on the market. Perfect for bird watching, wildlife observation, hunting and general use, they can also be taken along to sporting events or on a safari. The open bridge design, magnesium chassis, and non-slip rubber armour offer superb ergonomics and a great degree of protection to the elite level optics contained within. 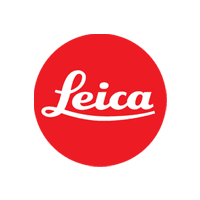 Here Leica has opted to use the very best SCHOTT optical glass and their premier level coatings on both the prisms and lenses to ensure the maximum possible amount of light gathering and transmission to deliver an image brightness and quality that is unsurpassed. The magnesium chassis used on the Noctivid is both lightweight and very robust. It is fully sealed and thus not only prevents dust from entering but is fully waterproof and indeed even submersible depth of 5 meters. The nitrogen filled interior ensures a completely moistureless environment, which in turn prevents internal glass surfaces from misting or fogging-up which often occurs on unprotected instruments, especially when you get rapid temperature fluctuations. Leica has used twist-up eyecups on these which have 4 click-stop positions, which in combination with the 19mm of eye-relief ensure you can get the full view, with or without wearing glasses. A diopter ensures they can be calibrated to your specific vision and the centrally positioned focus wheel is both easy to reach and has a silky smooth action to make even tiny focal adjustments as easy as possible. 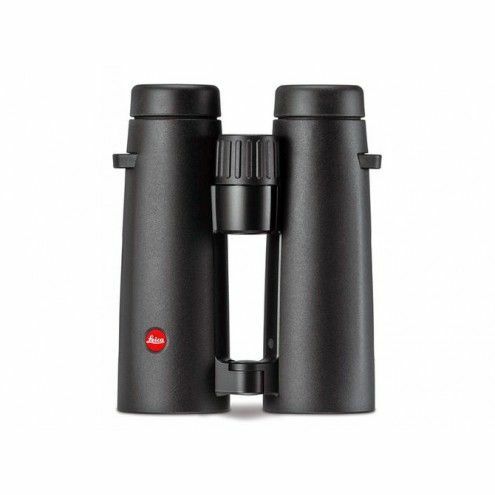 These Leica binoculars use an optical system of the highest order. To begin with, each of the lens elements has been made using a special very high transmission glass from the world-renowned SCHOTT company. Anti-reflective coatings are applied to all lenses and prisms for a greater amount of light capture and transmission, which directly results in a brighter and better quality view. Phase-correcting coatings are also added to the roof prisms along with their own HighLux-System mirror coatings, which Leica says increases light reflectivity to their highest ever levels across all spectrums. The outer lens surfaces are treated with Leica’s AquaDura coatings that are hydrophobic to repel water and which makes it easier to remove dirt, dust, and fingerprints. Added to this they have an additional High Durable Coating (HDC® Plus) to protect them from marking or scratching. Also included with your Noctivid package is a soft carry case made from a Cordura material, a shaped neck strap with a padded section made from Neoprene for added comfort and grip, protective lens caps, an eye-piece cover and lens cleaning cloth. A 10 year warranty is included with all Leica Noctivid series binoculars. The Leica Noctivid i ordered was delivered in just four days to Australia extremely well packed. Its a fantastic bino, very compact ,rugged ,with beautiful fit and finish. I think in terms of build and finish i will rate this as the best . The optics are as good as the other top binos.